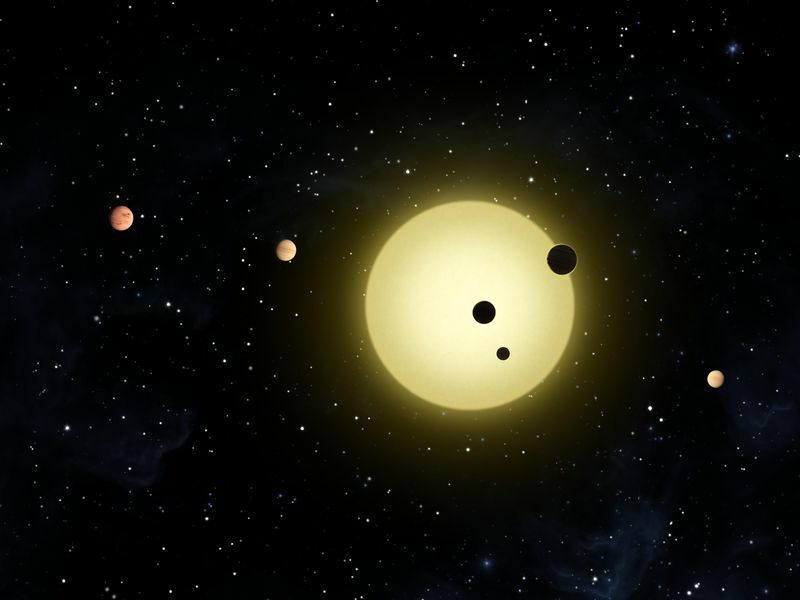 This artist's concept shows Kepler-11 -- the most tightly packed planetary system yet discovered. 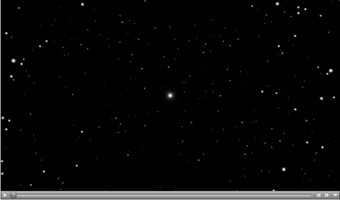 The star appears to blink in a pattern. It dims like clockwork as six "hands" of differing size orbit around it at different rates. 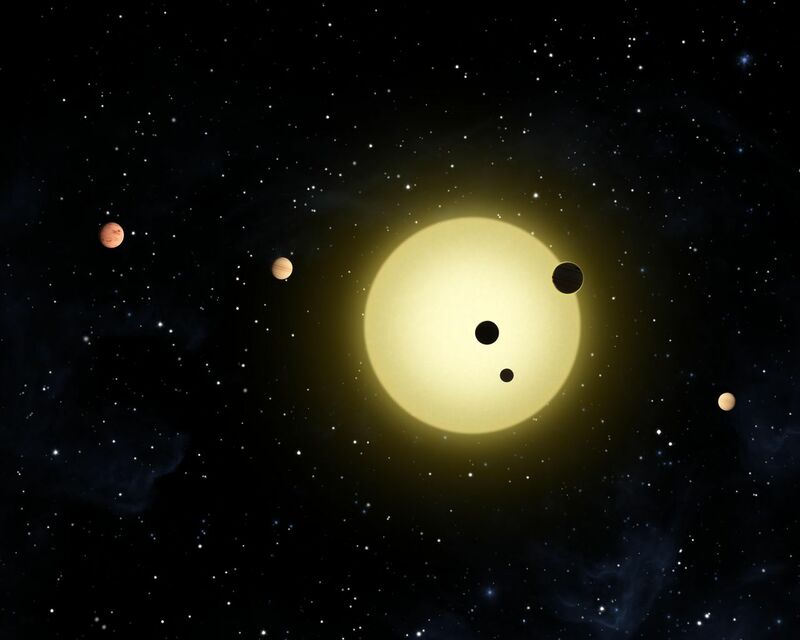 Kepler-11 dims when its six orbiting planets cross between it and the Kepler spacecraft. 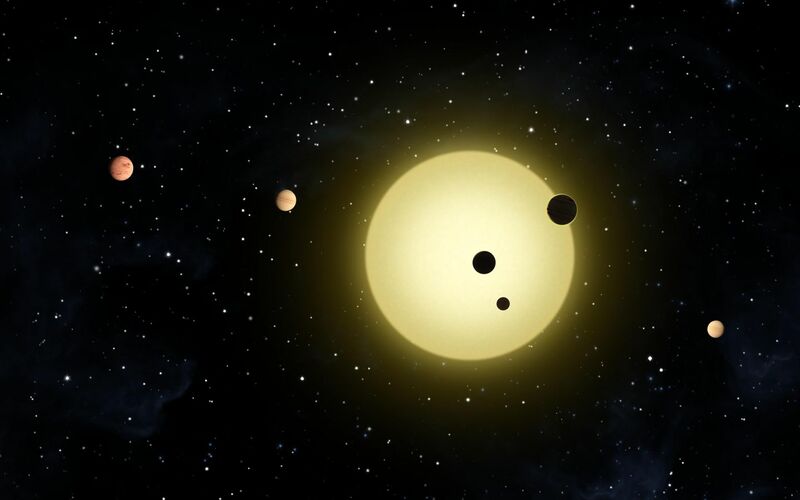 Calculations show the planets are nested in circular orbits that lie in almost the same plane.